There are a number of free video converters available in the market. You can easily download most of them, but you might not get what you were expecting. The VideoSpirit Lite is a free converter which converts media files from one format to the other desired format. It can also help the user extract audio or video clips from the original media. The VideoSpirit Lite converter allows users to convert files of different formats like AVI, DVD, 3GP, MP3, DAT and lots more. While getting downloaded, the user will be asked to install some of the available codec packages, which help the converter to support more formats of files. Some of the most common codec packages are K-Lite Quick Time and Real Alternative. These codec packages handle almost all of the known media formats. You can also customize some of the features as per your own liking. 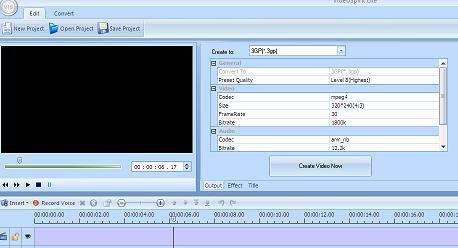 The features that can be customized are frame rate, quality level, codec types and bit rate. These features on being customized help the user obtain high quality output from this application. I suggest VideoMax Free Video Converter at free-star.org, it support most formats.